Cuddle up with a life saver, the 1-Up Mushroom and ensure your safe passage to live and fight another day through King Koopa’s most treacherous levels. Everybody needs a cuddle buddy during Super Mario games! Never lose track of your health and armor levels while maintaining time and international spy swagger. Inspired by the greatest FPS in existence, this GoldenEye 007 watch makes a great gift for any Nintendo 64 gamer or James Bond fan. These lightly stuffed squid hats replicate your favorite ink-spraying children from Splatoon. Professionally handcrafted and super comfortable, they’re available in 5 splashy colors to chose from – giving you that Inkling look as you control the battlefield. Keep your head nice and toasty while being slowly chomped by a piranha plant! It may have pointy teeth, but it won’t hurt… much. One size fits most, but that doesn’t give you permission to hog all the Mega Mushrooms. Here we go! Level-up your gaming collection with this attractive collector’s coin inspired by those seen and gathered in the Super Mario Bros games. Features a rectangle slot on one side, with a Super Star on the other! Are you so good at Goldeneye that nobody can even come close to beating you? Or perhaps you have a friend who always brags about never having a good challenge in Nintendo‘s most popular spy game. This “most deadly” t-shirt is perfect for such a player! Power up with the world’s most popular matching game, Memory! Challenge yourself to the classic game of Memory with a fun Super Mario twist that includes cards featuring your favorite characters, power ups and items! 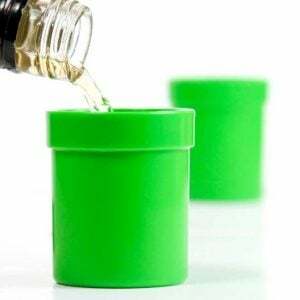 Choose your favorite liqueur and fill up these warp pipe shot glasses for the perfect portal to another… less stressful dimension. The lovely little plumber’s pipes come in a 4 pack of glasses that mimic the pipes from the Super Mario games! Chain Chomp is the perfect addition to any Super Mario enthusiasts’ plush toy collection! This sharp-toothed plushie is made from high quality fleece with stitched details, making him just as cute and cuddly as he is menacing. Keep your garden and plants safe by scaring away the bad guys with this 3D printed Boo planter! This great little planter is ideal for holding small house plants and he’s just the perfect size to sit on your desk or windowsill. Keep your bombs fully stocked with these mini crochet plushies! These soft and throwable yarn bombs include a bag so you can safely store them while on a adventure! The perfect size to carry and throw at your friends and family! Swap out your dakimakura for this epic 14 foot long Dragonair! This lifesized plush is just looking to snuggle up on your couch and coil up on your bed with you. The perfect companion for restful days at home! TRAINER used PRINT! It was super effective!! Keep your Switch cartridges organized and protected in a life-sized Pokeball! It’ll hold up to 8 cartridges and the top is filled up with material so they won’t ever fall out of place, no matter which way it’s held.